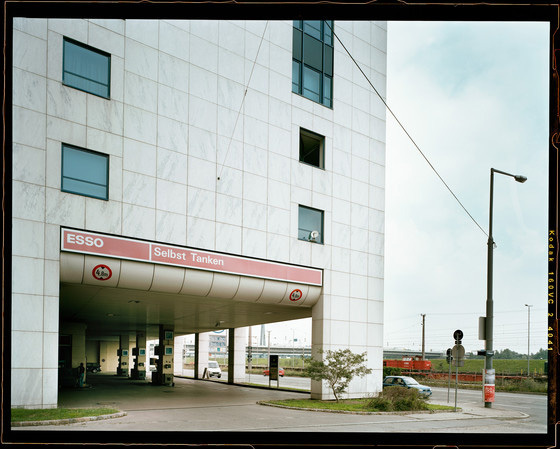 an architecture: Twentysix Viennese Gasoline Stations. Sebastian Hackenschmidt and Stefan Olah were definitely inspired by Ed Ruscha and his 1963 released book 'Twentysix Gasoline Stations' when he published 'Sechsundzwanzig Wiener Tankstellen'. It is an intriguing idea - to randomly pick a motif and publish a picture series of it. Gas stations - but couldn’t it be anything? The artist's selection makes the difference, however. What do the items have in common and what are the similarities between the chosen things? 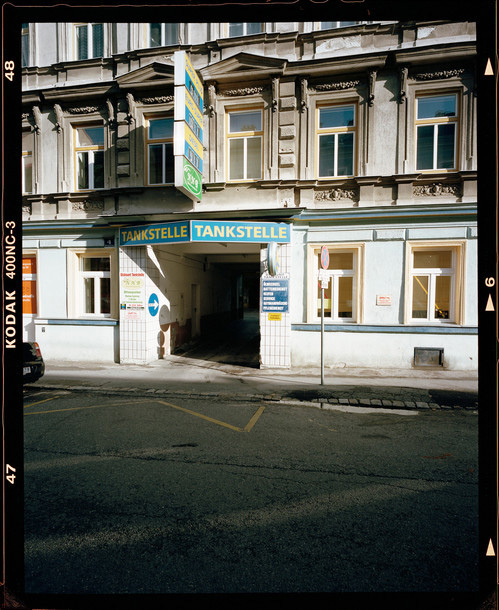 'Sechsundzwanzig Wiener Tankstellen' is more than a child of Ruscha's pop art book, it is a snapshot of the everyday urbanity of Vienna and the patchwork of styles, functions and ages. Especially in the densely populated innercity, gas station have to adapt to the tiny niche-spots and become small hybrid structures between the built environment. Hidden sometimes in exisitng architecture, gas stations advert to the street traffic by signs, roofs and other tools and compete visually against the buildings and places they occupy. A miniature version of the '"mobility dreams'. gas station usually sell. The beauty of the gas stations might lie in their unfinished and the provisional look-and-feel - architecture as building mutation.